Kawasaki disease is a rare childhood disease. It makes the walls of the blood vessels in the body become inflamed. 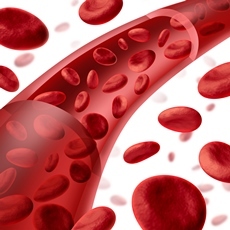 It can affect any type of blood vessel, including the arteries, veins, and capillaries. Kawasaki disease can't be passed from one child to another. There is no single test. To diagnose it, doctors look at the signs and symptoms. They may also use an echocardiogram or other tests. It is mainly treated with medicines. Rarely, medical procedures and surgery also may be used for children whose coronary arteries are affected. Kawasaki disease can't be prevented. However, most children who develop the disease fully recover - usually within weeks of getting signs and symptoms. Further problems are rare. Article: Increase expression of CD177 in Kawasaki disease.